A Tradition Shattered: Israelis Play Wagner At Bayreuth : Deceptive Cadence A precedence-shattering concert: an Israeli orchestra playing the music of Wagner — a notoriously anti-Semitic composer — at Germany's Bayreuth Festival, once one of Hitler's favorite destinations. Roberto Paternostro, the music director of the Israel Chamber Orchestra. Like all of Richard Wagner's music, performances of his piece Siegfried Idyll, is unofficially — but effectively — banned in Israel. It's not just that Wagner was an anti-Semite. He wrote a notorious essay called "Jewishness in Music." And after his death, Wagner's family was close to Adolf Hitler. Hitler often attended the annual Bayreuth Festival, which is devoted to Wagner's music. Beyond all that, Wagner's music was the soundtrack to the Holocaust; it was played at Nazi death camps. Advocates of the Israeli ban say it should last until there no more Holocaust survivors alive who might hear it. So what happened last night in Bayreuth, Germany, was noteworthy. The Israel Chamber Orchestra played the Siegfried Idyll with two of the composer's great-granddaughters sitting in the front row. 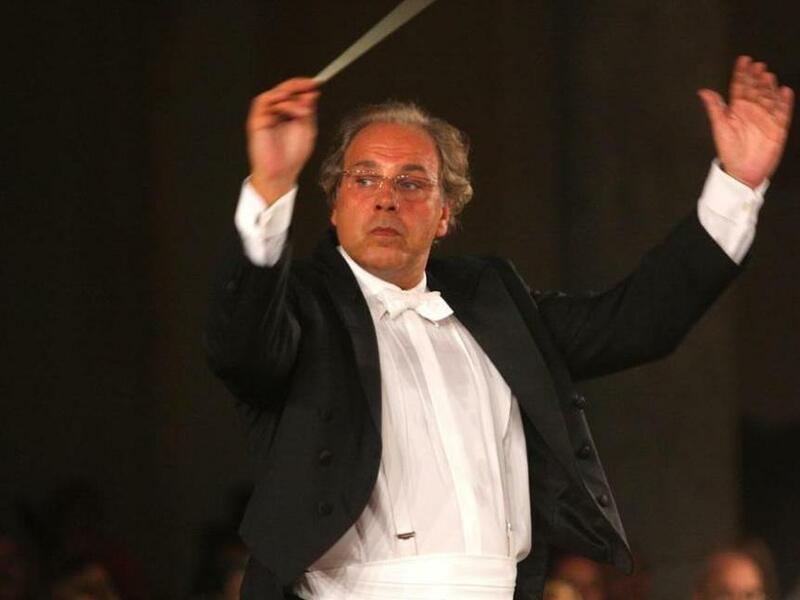 Roberto Paternostro is the conductor of the Israel Chamber Orchestra. He says, "I've always loved the music of Richard Wagner, first when I was a student in Vienna at the Vienna music school, and later when I conducted it a lot." He says that when he became the music director of the Israel Chamber Orchestra in Tel Aviv, he wanted to connect those realities: of living in Israel and having a lot of family in Israel, and on the other hand to perform Wagner's music. Paternostro continues, "My idea was to ask a friend of mine, Katharina Wagner, who is now in charge of the Bayreuth Festival, if she would be interested in having a concert with us. The conductor has been described as "a Jew from a family of Holocaust survivors whose grandparents were dispatched to Auschwitz and 80 percent of his family killed." However, some groups of Holocaust survivors think he's committed a kind of sacrilege by performing this music, whether in Israel or outside Israel. "I have a lot of family, particularly in the United States, who did survive the Holocaust," says the conductor. "I am absolutely aware of what I'm doing. I'm not coming from the moon and saying, 'Let's play Wagner's music.' I have the greatest respect, and I will shut my mouth if a survivor with a number on his hand were to say something. I cannot tell him, 'Just forget about Wagner's anti-Semitism, or about his terrible words against the Jews.'" "But in my orchestra," Paternostro explains, "there was a big discussion. We invited people to come speak about the history of Richard Wagner, to explain this history to the orchestra. And the orchestra was really excited to play his music for the first time in their lives." The conductor says that he's never seen an audience respond to a performance the way they did last night. "I've conducted for more than 25 years all over the world," he says, "and I've never seen anything like it in my life. Everybody was so emotional — and many people came from Israel for the performance. After we finished the Wagner, there was such a great moment of silence, and then a standing ovation."